What Is a Statute of Limitations? How Long Do I Have to File My California Car Accident Claim? The term “statute of limitations” means the period of time after an event that you have to file a lawsuit. Many types of lawsuits, as well as certain crimes, have a statute of limitations. After the statute of limitations has expired, a legal claim will no longer be considered valid in court, and a criminal action can no longer be prosecuted. Knowing the statute of limitations can help you protect your legal rights. The California Code of Civil Procedure states that a claim for the “assault, battery, or injury to, or for the death of, an individual caused by the wrongful act or neglect of another” must occur within two years of the date of injury. Car accident injury claims would typically fall under this category, so two years is how long you will have to file your case with the court. A legal claim solely for property damage, such as for the repairs to your car after an accident, has a slightly longer statute of limitations than a personal injury claim. In this case, you must file your lawsuit within three years of the date of the damage. However, it’s best not to delay speaking with an attorney, even if you think you haven’t been injured. Car accidents can sometimes leave hidden injuries that go undetected for long after the crash, so don’t delay getting legal advice. Statutes of limitation start getting complicated when the lawsuit involves a government agency. The legal procedure is different from a regular injury suit, and the period of time to press your lawsuit is often significantly shorter, leaving you as little as six months to a year to file. If your claim is against the government, it’s best to consult with an experienced attorney immediately to be sure that your rights are protected before you run out of time to file your lawsuit. When considering whether or not you would like to file a claim, it’s best not to wait to talk to an attorney. 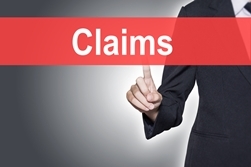 Building a legal case and moving it through the court system takes time, so get started with the claims process as soon as possible. If you have been in a car accident, the attorneys at Steinberg Injury Lawyers are here to help you. We have been handling accident and injury claim cases like yours since 1982, and we will fight to get you the compensation that you deserve. Don’t let the clock run down on your legal rights. Call us any time, day or night, for a free case evaluation at 800-989-6385.